Attack 1 : Flex Tape. Tie up your enemies with Flex Tape. Flip a coin. 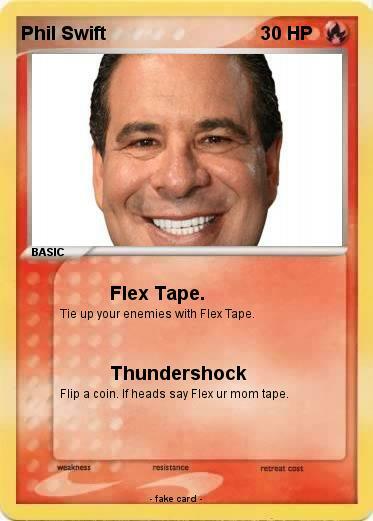 If heads say Flex ur mom tape.